The National Rifle Association is encouraging members to take their favorite children’s board games – specifically Hasbro’s Candy Land and Battleship – and use them as target practice at a shooting range. In a blog post on Wednesday, the NRA wrote: "Board games are a great way to bond with friends and family. But have these timeless games you’ve grown up with, played time and time again, become a little, well, boring? Put a twist on your favorite games and head to the range!" 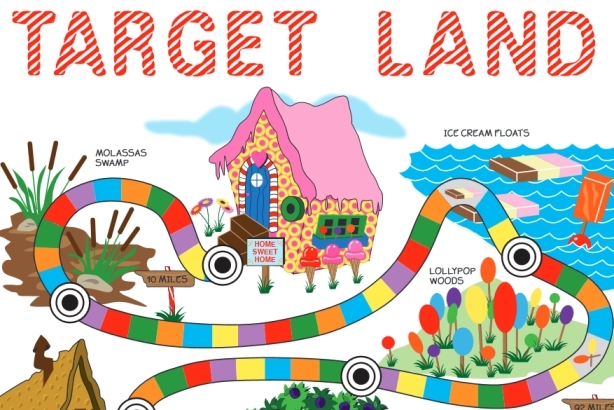 The NRA has created its own version of each game in PDF format, even giving Candy Land the alternative title of "Target Land," and is spurring members to print them out. This is the second time this year the NRA has used something aimed at children to spread a message. In January and March this year the NRA reimagined fairy tales, putting rifles in the hands of children to create a safer world. The NRA Family site published stories including "Little Red Riding Hood (Has A Gun)" and "Hansel and Gretel (Have Guns)." Reps from NRA and Hasbro were not immediately available for comment on the matter. Hasbro is the latest brand to be brought into a political conversation against its will. Last month, Tic Tac found itself denouncing lewd comments made by Republican presidential nominee Donald Trump that emerged in a Washington Post report, which included mention of the brand. In September, Skittles pushed back against a tweet by Donald Trump Jr. that said: "If I had a bowl of Skittles and I told you three would kill you, would you take a handful? That’s our refugee problem." Others expressed disbelief at the NRA’s message.